The galaxy lies at an approximate distance of 47 million light years and has an apparent magnitude of 10.4. It has the designation NGC 4501 in the New General Catalogue. Messier 88 occupies an area of 6.9 by 3.7 arc minutes of apparent sky, which corresponds to a spatial extension of 105,000 light years. The galaxy is inclined at an angle of about 30 degrees to our line of sight and is a popular object for small telescopes. M88’s inclination makes it appear like a smaller version of the Andromeda Galaxy (M31). Messier 88 is bright enough to be visible in 10×50 binoculars under good conditions. Small telescopes will reveal an elongated, nebulous patch of light with a brighter centre, while medium-sized equipment will show a well-defined, bright core. The galaxy is best observed in larger instruments, which reveal some of the details of its structure. 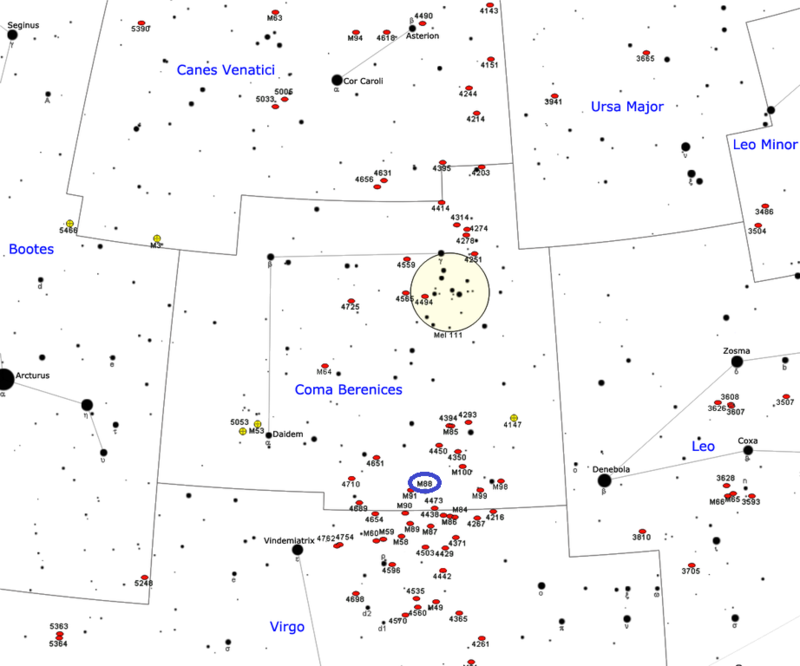 Messier 88 can be found a bit north of the line from the bright star Denebola in Leo to Vindemiatrix in Virgo. The galaxies Messier 84 and Messier 86, which lie exactly halfway between the two stars, can be used to find M88. M88 is positioned to the north and a little east of the pair. The best time of year to observe M88 and the nearby galaxies is during the spring. Messier 88 has a very regular spiral arm structure and is classified as type Sbc spiral galaxy, which means that its spiral arms are between medium-wound (Sb) and loosely-wound (Sc). M88 is also classified as a type II Seyfert galaxy because it exhibits narrow spectral line emissions from highly ionized gas in its core. Other Seyfert galaxies in the Messier Catalogue include the Whirlpool Galaxy (M51), Messier 66, Cetus A (M77), Virgo A (M87) and Messier 106. M88 has an unusually high central gas concentration for a non-barred Seyfert galaxy. The galaxy’s core contains an active galactic nucleus (AGN) with a supermassive black hole with an estimated mass of 107.9 solar masses. The nucleus rotates more quickly than the Milky Way’s, at 241 km/s. The estimated mass of M88 is 250 billion solar masses. Messier 88 is one of the 15 Messier galaxies that belong to the Virgo Cluster. It is suspected to have a highly elliptical orbit, one taking it toward the cluster’s core and the giant elliptical galaxy Virgo A (M87). 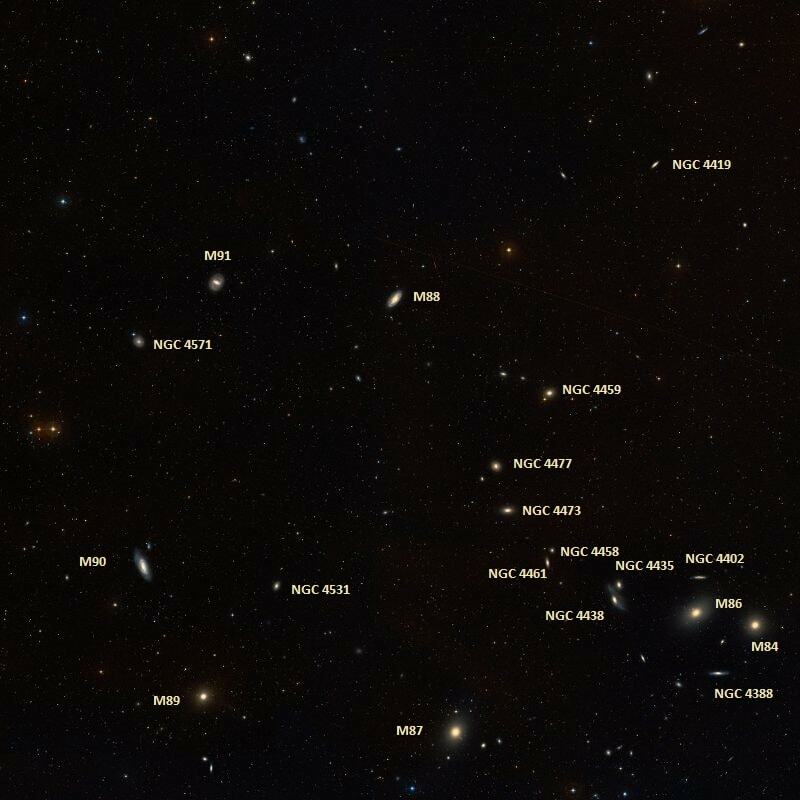 M88 will come closest to the centre of the cluster in about 200 to 300 million years. It is currently between 0.3 and 0.48 million parsecs from it. As a result of their motion through the densely populated Virgo Cluster, M88 and many other cluster members are experiencing ram pressure stripping, a process that strips a galaxy’s outer region of neutral hydrogen. M88 is receding from us at a very high velocity, 2,281 km/s. A supernova was observed in M88 in 1999. Named SN 1999cl, the supernova occurred on May 28, 1999 and was discovered on May 29 at magnitude 16.4. It peaked at magnitude 13.6 on June 5, 1999 and was classified as a Type Ia supernova, which means that it was triggered by a violent explosion of a white dwarf. Nebula without star, in Virgo, between two small stars & one star of the sixth magnitude, which appear at the same time as the nebula in the field of the telescope. Its luminosity is one of the faintest, & resembles the one reported in Virgo, No. 58 [Messier 58]. A long elliptical nebula, on the outer side of Virgo‘s left wing. It is pale-white in colour, and trends in a line bearing np [NW] to sf [SE]; and with its attendant stars, forms a pretty pageant. The lower or northern part in the inverted field is brighter than the southern, a circumstance which, with its spindle figure, opens a large field for conjecture. 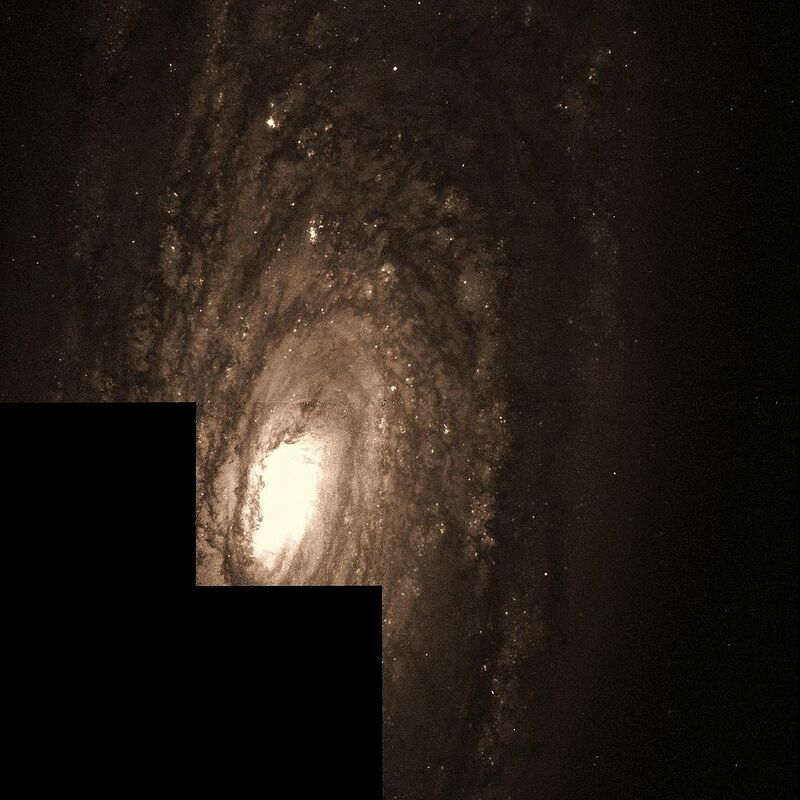 This is a wonderful nebulous region, and the diffused matter occupies an extensive space, in which several of the finest objects of Messier and the Herschels will readily be picked up by the keen observer in extraordinary proximity. The following diagram exhibits the local disposition of the immense nebulous neighbours north [actually south] of 88 Messier; they being preceded by M., No. 84 and followed by M. 58, 89, 90 and 91, in the same zone; thus describing a spot only 2 deg 1/2 from north to south, and 3 deg from east to west, as the micrometer shows it. And it will be convenient to keep in mind, that the situation of the extraordinary conglomerate of nebulae and compressed spherical clusters which crowd the Virgin‘s left wing and shoulder, is pretty well pointed out to the practised naked eye by Epsilon, Delta, Gamma, Eta, and Beta Virginis forming a semi-circle to the east, whilst due north of the last-mentioned star, Beta Leonis marks the north-west boundary. Reasoning upon the Herschelian principle, this may reverently be assumed as the thinnest or shallowest part of our firmament; and the vast laboratory of the segregating mechanism by which compression and insulation are ripened, in the course of unfathomed ages. The theme, however imaginative, is solemn and sublime. 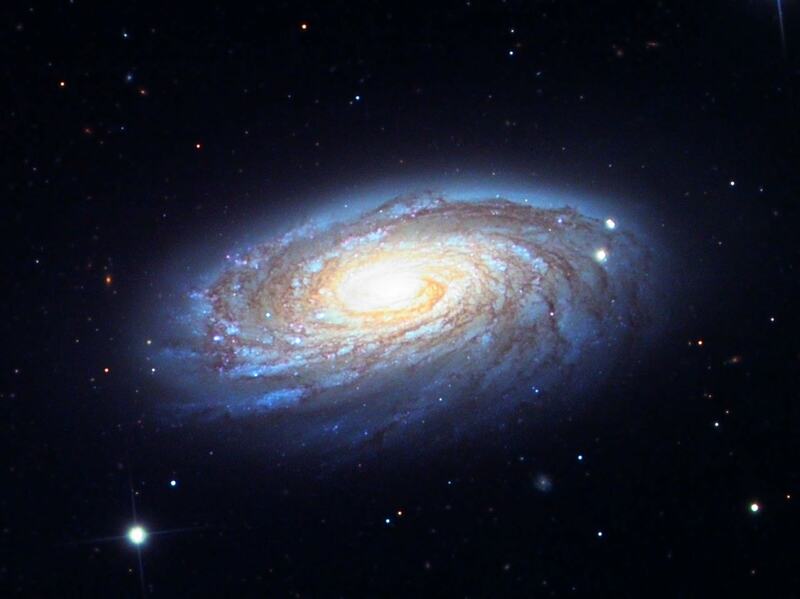 Messier 88 was one of the first objects to be identified as a spiral galaxy. Lord Rosse listed it as one of his 14 “spiral nebulae” discovered to 1850. 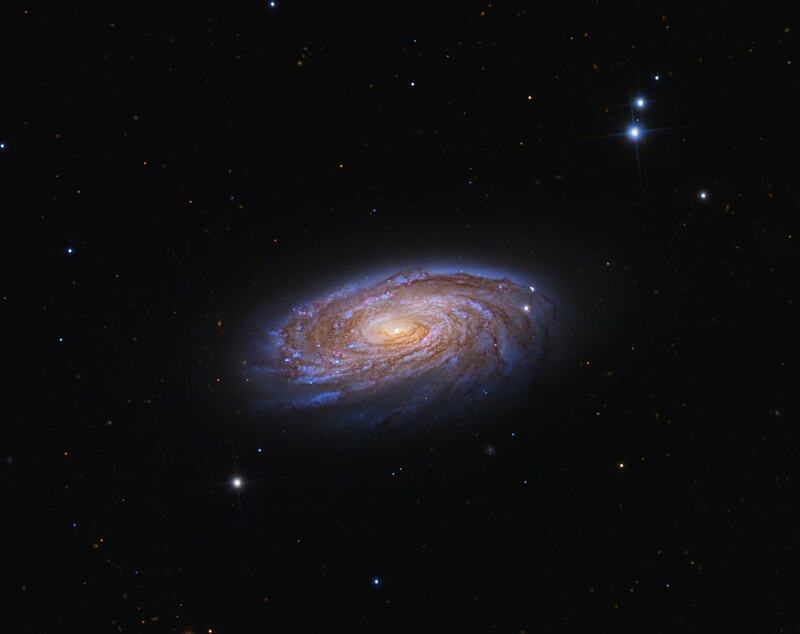 Other Messier objects listed by Rosse were the spiral galaxy Messier 63 (Sunflower Galaxy), the barred spirals Messier 58 and Cetus A (M77), the intermediate spiral Messier 96, and the grand design spirals Messier 74 (Phantom Galaxy) and Messier 100. A bright, beautiful spiral 5’x2.5′ in p.a. 140deg. Bright, elongated nuclear region, including a bright, almost stellar nucleus. The whorls are rather close, and show numerous condensations. 17 s.n.